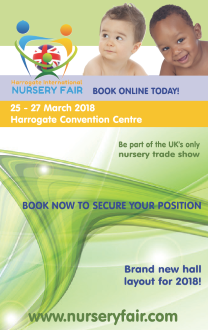 Once again, exhibitors at Harrogate International Nursery Fair have the opportunity to gain industry recognition for outstanding products by entering the Baby Products Association’s Baby and Nursery Trade Awards 2014 (BANTA) – which open on Friday 31st January 2014. Sponsored by Nursery Today, the BANTAs are much coveted as they single out exceptional products from the multitude at the exhibition, which in the judge’s opinion stand out from the crowd and are highly recommended to retailers attending the show. Products entered may be innovative new items to the ma rket or even tried and tested best-sellers – each will be judged for its quality and appeal to the consumer, as well as unique selling points and safety features. 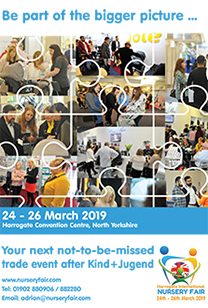 The categories for 2014 are: Child Restraints; Wheeled Goods; Playtime; Sleep Accessories; Travel Accessories; In Home; Safety; Feeding, Cleaning & Changing; and Best New Product and products entered must be available for sale at the show. All entries will be shortlisted prior to Harrogate International Nursery Fair 2014 and short-listed products will be viewed first-hand by judges on the first day of the show. Winners will be announced at the Harrogate Party & Awards Night which takes place at the Majestic Hotel on the evening of Sunday 23rd March. Companies wishing to enter the BANTAs can download an entry form HERE. Closing date to return these is 28th February 2014.